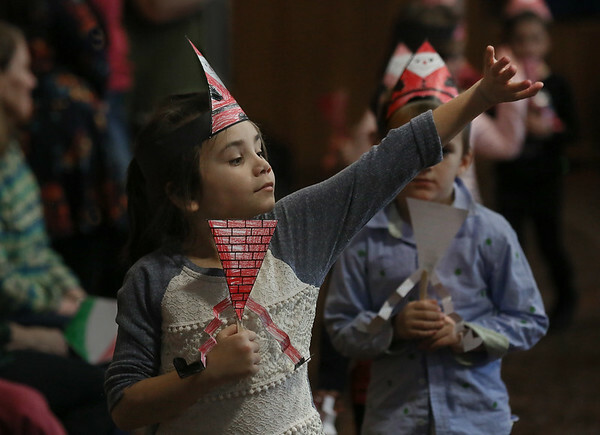 Kindergartner Lily-Lee Millner waves while walking in a "Polygon Parade" Wednesday at Beeman Elementary School in Gloucester. The event was organized as a fun way to review what the students have learned in geometry. Each class was assigned a different polygon -- a two-dimensional closed shape bounded by straight line segments -- and the students were asked to describe the the various forms their polygons can take. The kindergartners were assigned triangles.